Blog | B&K Timber - Welcome to our Brand New Website! Home / Blog | B&K Timber / Welcome to our Brand New Website! Here at B&K Timber we’re very excited to launch our brand new website! Our new site makes it even easier for you to buy our bespoke gates wherever you’re located in the UK mainland. Browse through our extensive range of gate types online and then use our gate builder tool to create the perfect gate for your requirements. Simply enter your gate measurements and then choose from different styles, posts, locks and more – then we’ll do the rest! Your dream driveway or garden gates are just a click away. Our website also contains helpful guides and tips to help make sure the measuring of your gates is quick, easy and accurate. We’ve been producing hand crafted, bespoke wooden gates for over 30 years and pride ourselves on ensuring 100% care and precision into every gate we produce. 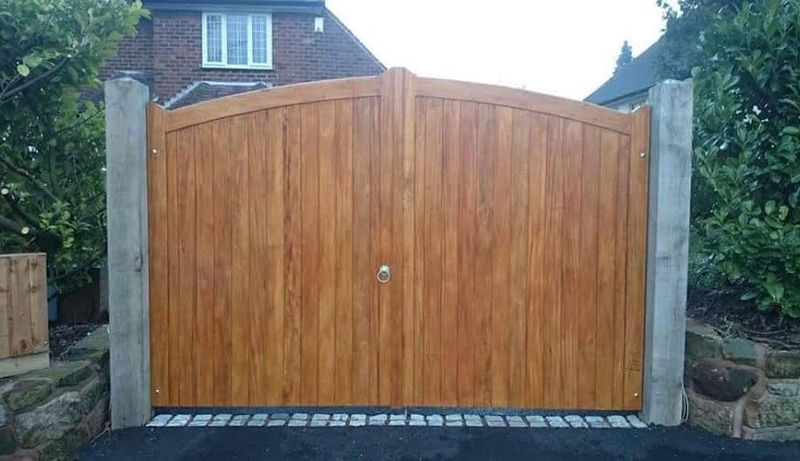 Our gates are made with PEFC and FSC certified timber using Scandivian Slow Grown, Joinery Graded Redwood Timber using traditional mortise and tenon joint. We specialise in manufacturing both garden and driveway gates and have a team of experts to help you decide which of our gates is best suited to your needs. Build Your Own Gate Today! If you have any questions about our new website or our gates then please get in touch with a member of our team who will answer any of your questions – we’re on hand to help!